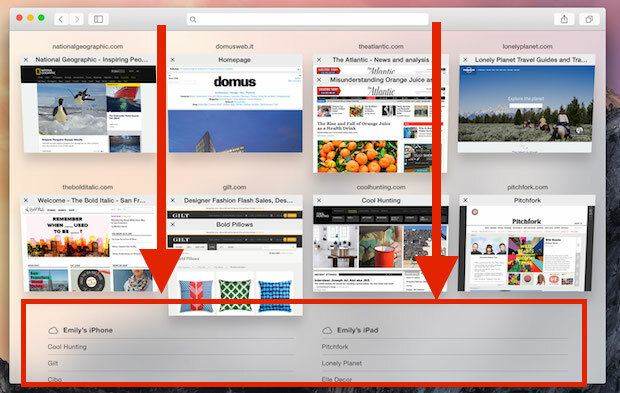 Safari iCloud Tabs are a great feature that allow you to visit and access any actively opened web page in Safari on one device on another iPhone, iPad, or Mac. 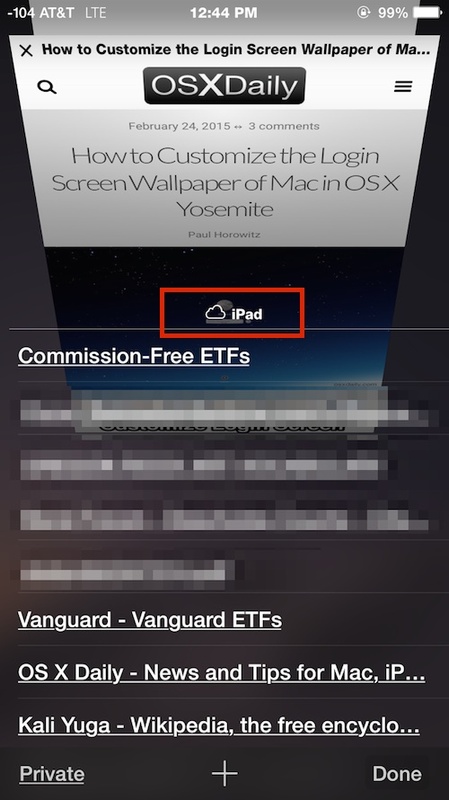 This is really handy if you found something interesting on your iPhone but you’d rather read it on your iPad or Mac, or vice versa, and in some ways it works kind of like Handoff for Safari, except there’s even less effort involved to use it. iCloud tabs in Safari sync automatically with any Mac, iPhone, or iPad using the same iCloud account, this tutorial will show you how to use this great feature to easily share your web browsing across devices. To use Safari iCloud Tabs, you must obviously have iCloud enabled on at least two devices; what you’re viewing iCloud Tabs with, and what has the other webpages open in Safari with. iCloud Tabs will work with all of your devices if they’re on somewhat modern versions of Mac OS and iOS, however, so if you have two iPhones, an iPad, and a Mac, each using Safari, they’ll all show up and be accessible between one another. This is the same in Safari for all iOS devices, including iPhone, iPad, and iPod touch. In this screenshot example, an iPad named “iPad” with multiple Safari tabs open are being viewed from an iPhone. Tapping on any of the links will immediately visit and open the webpage in question. Just like in iOS, selecting a link in Safari from the Mac this way opens it immediately on the Mac so that you can read it there. Do keep in mind if you close a freshly opened iCloud Tab on the Mac, it will also close on the origin device, and other iCloud synced devices too. This feature has been around for a while, but it’s more streamlined than ever in modern Safari versions, and Apple devices, and thus a lot more useful for many users. Whether you’re on a Mac, iPhone, iPad, iPod touch, or have any combination of those devices, or multiple devices of any such Apple device, iCloud tabs in Safari will easily work and sync between your hardware. If you have any tips, tricks, questions, or comments about using iCloud tabs in Safari for iOS or MacOS, share with us in the comments below! This is a good tip. I hadn’t noticed, now I know. Question … is this only for Yosemite, I don’t see this on my Mac ? Maybe I dont understand. Confused Homer. This site is amazing. It’s shown me things I had no idea could be done. Thanks, folks.